As the high-profile and high-stakes Harvard admissions trial spilled secret after secret of the College’s notoriously private admissions process across the past three weeks, high schoolers around the country followed along with bated breath. In online forums like College Confidential and in anxious calls to college admissions consultants, students and their parents dissected every juicy detail — ranging from the fact Harvard favors those who fund it to the fact College admissions officers cannot consider race when assigning personal scores to the fact Asian-American Harvard applicants saw the lowest admit rate of any racial group from 1995 to 2013. Some of their college counselors, though, were less riveted. Counselors working both in the private consulting business and on high school campuses said that, though they noticed an uptick in Harvard-related calls and questions from clients during the trial, they themselves do not find the revelations that surfaced in court surprising. “We're actually pretty well aware of how it works anyway,” said Canh E. Oxelson, executive director of college counseling at the Horace Mann School. The Harvard admissions trial, which kicked off on Oct. 15, wound to a close Friday after three weeks of fiery debate between Harvard’s lawyers and attorneys for Students for Fair Admissions, the anti-affirmative action group suing the University over its admissions process. The judge presiding over the case, Allison D. Burroughs of the U.S. District Court in Boston, is not expected make a ruling for months. No matter how she rules, one thing is clear: this year’s batch of Harvard hopefuls will benefit from an inside understanding of the College’s admissions process unavailable to generations of prior applicants. Information released as part of the trial — the latest development in SFFA’s 4-year-old lawsuit alleging the College discriminates against Asian-American applicants — shows how Harvard scores the academic achievements and personal qualities of each high schooler, as well as how it determines which applicants to reject. Erika G. Chapin, college counseling director for the Hopkins School in New Haven, Conn., said parents and students at her school have closely tracked the case. Brian Taylor, managing director of college consulting firm Ivy Coach, agreed that some applicants — especially those of Asian heritage — may feel more confident in applying to Harvard while its admissions process is under public scrutiny. He noted that “way more” students working with his firm are applying to Harvard this year as compared to previous years. The Justice Department has publicly sided against Harvard and with SFFA, filing a scathing “statement of interest” in court in August 2018 that asserted the College perpetrates “unlawful racial discrimination” against Asian-American applicants. 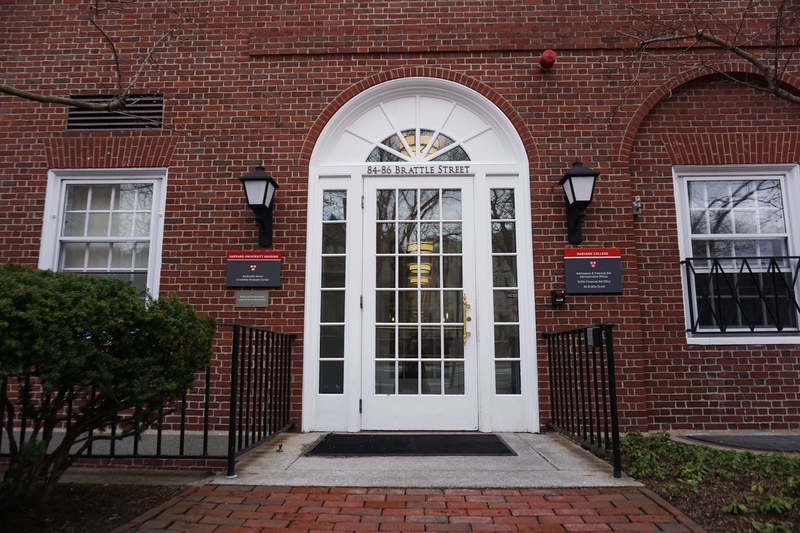 The department is independently conducting a Title VI investigation into the University in response to charges that the College rejects qualified Asian Americans in favor of less deserving applicants of other races. Though a number of college counselors noted heightened interest in the case — and in Harvard — most said information that came to light as part of the trial will not change the advice they give to prospective applicants. “It isn't changing our counsel on how to work with these families through their application processes,” Chapin said. Anna Ivey, the founder of Ivey Consulting, also said she thinks the trial will have a limited effect on this year’s application cycle. Like Oxelson, Ivey and others said tibits made public as part of the trial — while interesting — are largely par for the course. Still, Chapin acknowledged the procedural secrets unveiled over the course of the Harvard trial could reshape the way students and families seek admission to highly selective universities more broadly. An earlier version of this article misspelled the name of Canh E. Oxelson. It has been updated.